﻿ Green Plaza Hotel, Da Nang | FROM $42 - SAVE ON AGODA! 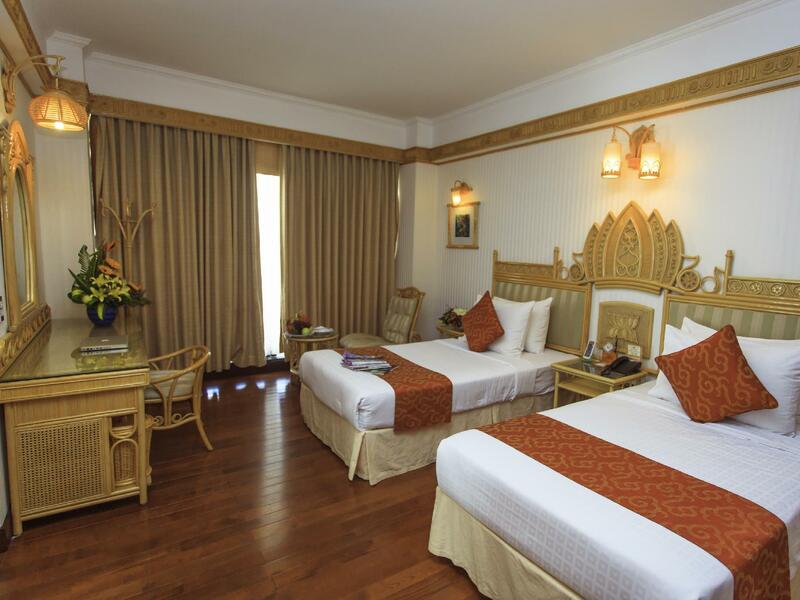 "Hotel is of classic Decor - large lobby and good facilities." 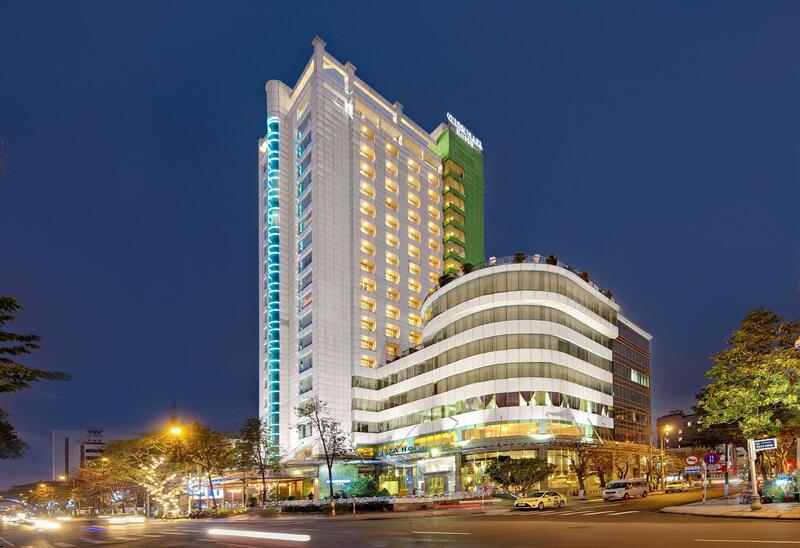 Have a question for Green Plaza Hotel? "Great location with a view to Han bridge." "We enjoyed our stay in the hotel ." "The hotel's location is excellent, near the Dragon Bridge." 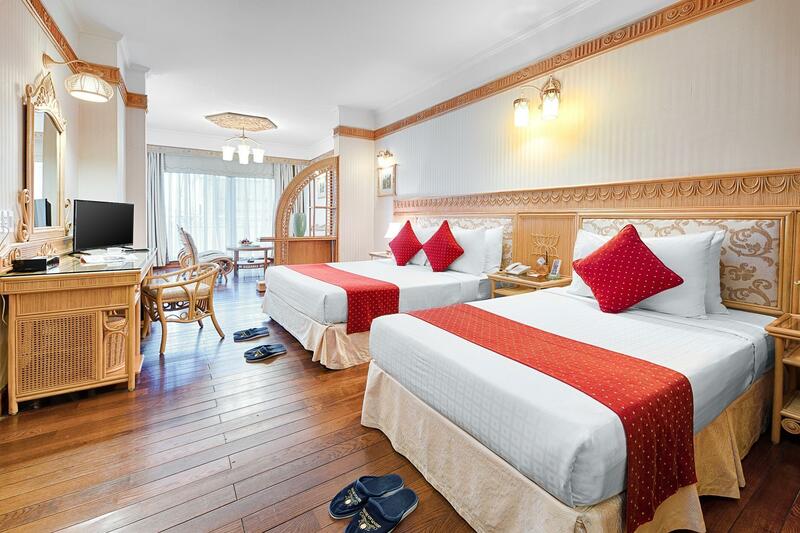 Located on the shores of the Da Nang’s famous Han River, this impressive hotel is conveniently located near China Beach and offers comfortable accommodation and good value. The area surrounding Green Plaza Hotel is full of interesting sights and historical landmarks to visit including several World Heritage Sites such as The Former Imperial City and the old trading port of Hoian. 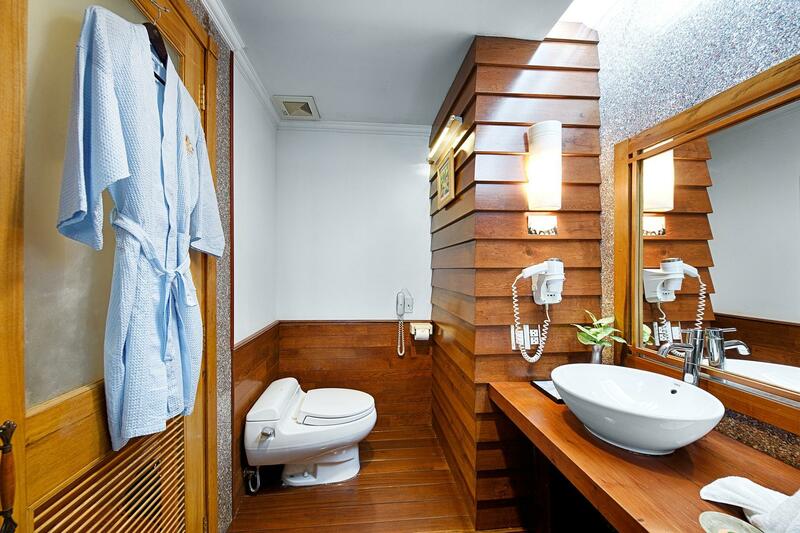 The hotel offers a range of different rooms and suites from basic standard rooms through to luxurious ocean view rooms as well as river-view rooms which feature private balconies, satellite TV, and other modern amenities. The Green Plaza Hotel regularly organizes Vietnamese theme nights, barbecues, and boat excursions and caters for private parties and events for up to 300 people. The hotel also features The Majestic Bluenotes Pool Bar which offers stunning rivers views with the very best in local Vietnamese cuisine, and there is also a terraced café which serves fresh coffee and snacks. Green Plaza Hotel is your one-stop destination for quality hotel accommodation. 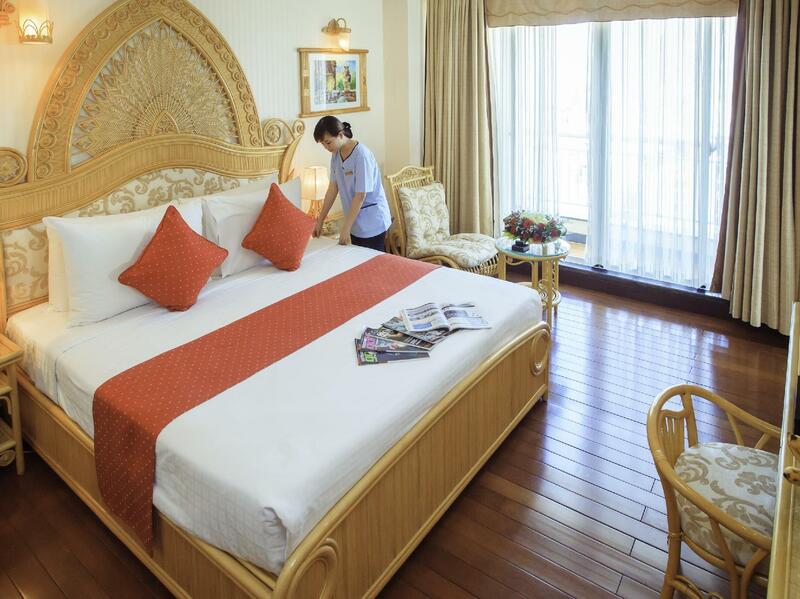 My wife and I visited Da Nang for 2 weeks in February of 2019 and for the first 2 nights, we stayed here. For the price, we felt we got a really good deal considering we had a great view of the river and Dragon Bridge. The staff was really friendly and were ready for whatever we needed. The pool is very nice and the location is superb. Another thing, the walls are thick so you don't have to hear what is happening in another room and your privacy is virtually guaranteed; we had a couple of drinks in our room with the music pretty loud and not one complaint or call from the staff. Overall, I would highly recommend the hotel and would make sure that you have a river view so that you can enjoy the Dragon Bridge show, which is every Saturday and Sunday night. Booked this lovely Hotel for the views of the Dragon Bridge, and made sure we stayed at the weekend for the 9pm breathing fire display. Excellent choice of hotel, with lovely wood floor and walls in rooms, fantastic choices of food at breakfast, lovely cocktails at the Sky Bar with a great menu for food and snax Staff very efficient. Bathrooms clean and spacious, brilliant river views - would definitely return here. Can highly recommend. We enjoyed our stay in the hotel . If you are looking to stay in Da Nang in the river area? The hotel's location is excellent, near the Dragon Bridge. We felt that the staff is doing the best to serve us . On my next visit I will chose green Plaza Hotel again. location was great as it was within walking distance to cafes and eating places. we were also lucky to get a room facing the river and dragon bridge. breakfast variety was good too. it was the thoughtful touches which stand out - there was a welcome letter and small snack in the room after we check in and subsequently each night there was a snack and a slip of paper informing us of weather forecast the next day. this hotel look really old and does not meet the expectations for a 4 stars hotel. specially the pool side does not live up to the photos that is showed. way to expensive compared to other newer hotels. Great location with direct view of Dragon Bridge, nice breakfast buffet but this OLD hotel needs a renovation of its rooms badly... wooden floors, rattan furniture, tiny old TVs and old fixtures won't do when there's so much competition. One elevater was out of service during stay and not recovery fastly, so inconvenience . Staffs are kindly and anything is good. We booked two rooms. One was a River View, but the room we got was not "overlooking" the river as we expected but rather off to the side.But it was a very nice room. The breakfast was fabulous. The pool area on the roof was FANTASTIC and we were able to take pictures from there of the Dragon Bridge Fire and Water Show. The hotel is in great location for a stroll along the river and stopping at various restaurants and watering holes. Would not hesitate to visit this hotel again. 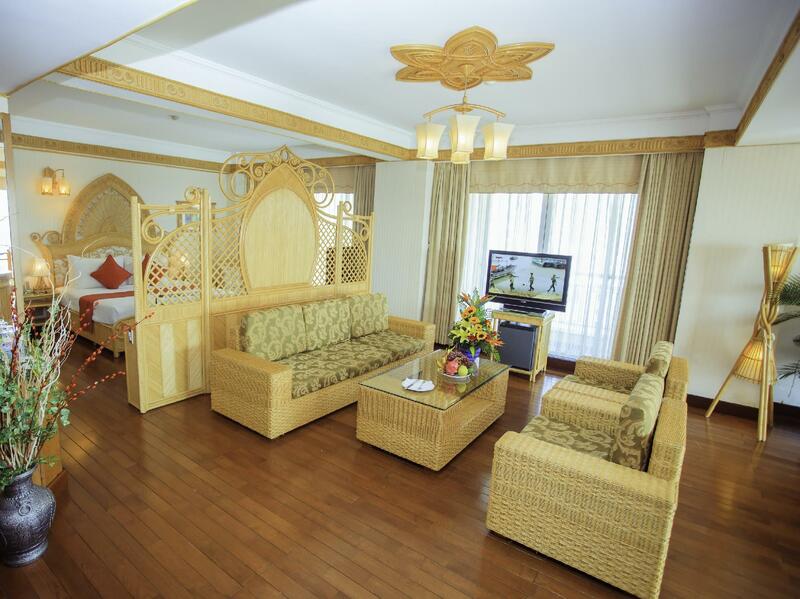 Hotel is of classic Decor - large lobby and good facilities. Rooms are large and have good views of the city or river. Beds very good - linens too - bathroom is clean and everything works - food very good with a restaurant on the premusis. Location is between the city center and the beach - easily reached but cab. There is also an outside bar area which serves drinks and food all day. Wi Fi was good and staff spoke pretty good English - TV good with a few English channels. 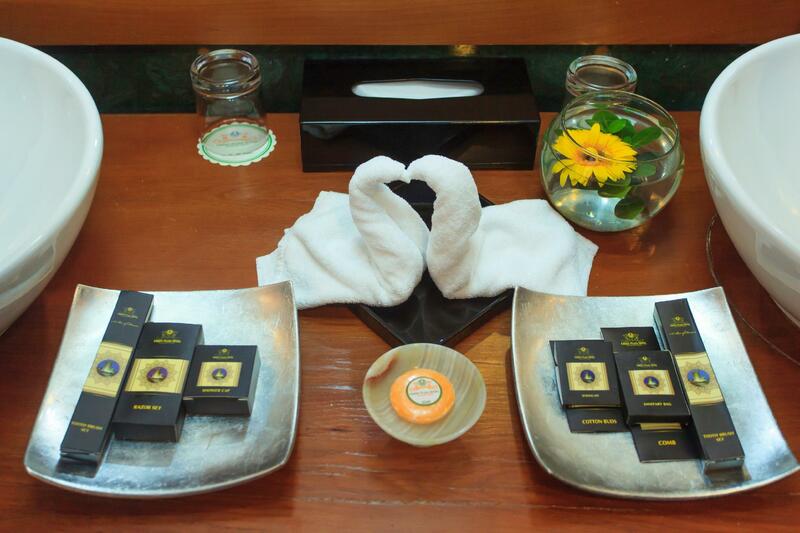 there are several spas behind the hotel and many restaurants are a few minutes by cab or a 5-10 minute walk. Good value location. The staff was amazing and very helpful. Location is solid if you want to enjoy the river area. Just opposite the side of the river of the fire breathing dragon. Room was comfortable and clean. The desk arranged a car to take us to Bana Hills for 800K, and was willing to wait 6 hours for us. The was a good deal as one way Grab would have been 320K ish, with no wait. He did stop at a “friend” of his to have us buy tickets to bana Hills. They offered “same same price,” even though they paid the local rate of 400K. The pool water needs to be drained, be weary. Overall, we did enjoy our stay and appreciated thier hospitality. We loved our stay here. The view was amazing. Food and restaurant was excellent. My kid enjoyed the room and spent most of the time in the balcony.. Will highly recommend this place to all. Would love to come back again. Ms Vy and her colleagues in the breakfast room and restaurant went out of their way to accommodate my meal preferences. Ms Hai at reception and tour desk was extremely helpful, as were other staff members whose names I can't recall. The hotel facilities looked old and it should need to be upgraded. The room was large but amenities were so so. Could not get the best view to the river as the glass window wasn’t cleaned up. Staff were good. Food was delicious! helpful staff. location is good. breakfast is good.